How should I tell my date that I’m vegetarian? 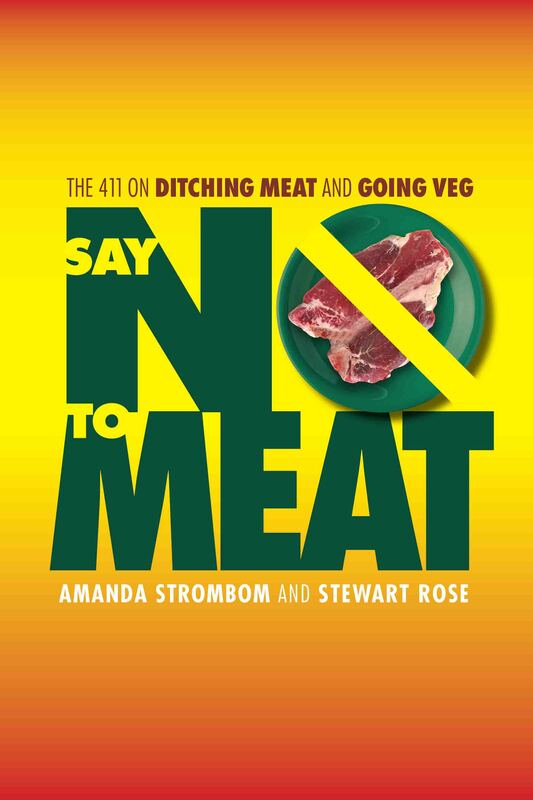 The following is an extract from our latest book, Say No to Meat, by Amanda Strombom and Stewart Rose. You can learn more about our book, and buy a copy online. Be up front about it. They’ll find out soon enough anyway. When you first start dating someone (let’s assume it’s a “him” for ease of writing, but these suggestions work for women too), you may be nervous as to how he will react to the idea that you’re a vegetarian. The key is to be honest about it, but not make it too big of a deal. Avoid problems. You probably don’t want him to invite you out to a steakhouse for dinner, so make sure that he knows you’re vegetarian before your first meal out together. If your first date is at a restaurant, you might have to mention your dietary preferences right away, but ideally wait until you can bring up the subject in casual conversation. Gently raise the issue. You might start by asking what kinds of food he likes to eat. This will give you an idea of how flexible and open-minded he might be to your eating choices. Whatever you do, don’t belittle his food choices: you want him to respect your choices, so you must respect his. It’s a two-way street. Now it’s your turn to mention that you happen to be a vegetarian. Hopefully he’ll be equally respectful about your choices. If he isn’t, then you may have to gently point this out to him. He could have lots of questions at this point. Remember that many people just don’t know anything about this way of eating, so keep your answers short and respectful. It’s decision time. Based on his reaction, you can decide whether you want to continue the relationship, but remember that he may just need time to get used to the idea. For now, you know that he knows, and you can focus on discovering the many other interests you do have in common.